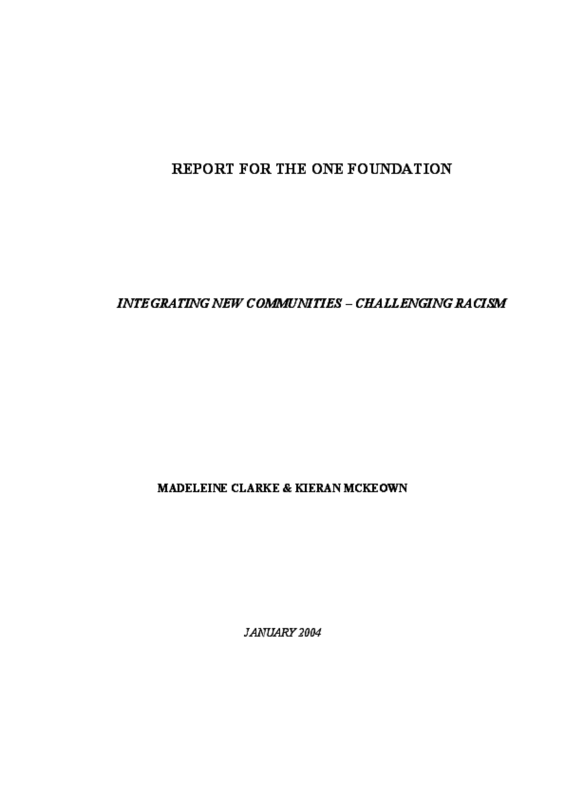 In this report, the needs of new people hoping to settle in Ireland, and how these are responded to, provides the context in which racism in Ireland can be considered and one in which to identify opportunities where funding could make an important difference. This research considers the patterns of migration to Ireland and the likely future trends with reference to the particular groups of people who are choosing Ireland as a country in which to make a new life. Furthermore, this research explores what is known about racism in Ireland, and the initiatives currently being undertaken to combat racism are set out.